The answer is... well, why don't you tell us which one you like better? And since it's so easy to get caught up in brands and favorites, and be partial to a particular name rather than the actual photo, it's time to do another blind camera comparison. 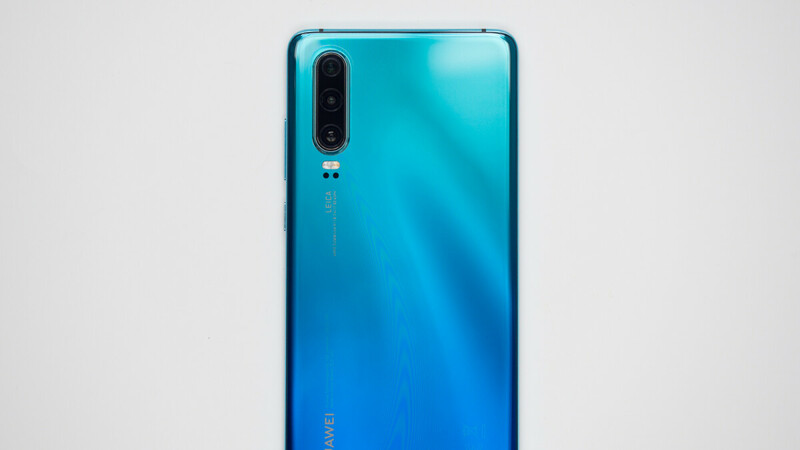 This time, we have the new Huawei P30 Pro as the star of the show and we will be comparing it to the Samsung Galaxy S10+ and the Apple iPhone XS. For this particular comparison we will be focusing on daylight shots, but you can take a closer look at our night time Huawei P30 Pro camera comparison over here. Also, all of the shots below were captured using the main cameras on these phones simply because the Galaxy and the iPhone have a 2X telephoto camera, while the Mate 20 Pro has a 5X periscope camera, and it's hard to do a direct one-to-one camera comparison for these very different cameras. Nonetheless, we also feel that most of the pictures we take on our phones end up using the main camera anyway, so with this in mind, let's kick off this blind camera comparison, shall we? Vote for your favorite photo in the poll right below. We have removed all the metadata and we have randomized the images for each scene, so you are never seeing the same phones in the same order. Results will be announced in a few days! Let me guess, the best pics are the iPhone ones. Yeah, it goes, dark is iphone, saturated is galaxy and the more natural one is huawei. I think but I could be wrong, I haven't looked at photos in a long time lol. Wow. I knew what picture comes from what phone but still, sometimes the oversaturated camera looks better and sometimes the undersaturated camera looks better. So iPhone puts strong bluish-green cast on every single image, P30 Pro chooses the warmest white balance all the time and S10 is somewhere in the middle but has the weakest details. It was fairly easy to spot which one is which. Samsung is not in the middle, it shoots photos with too warm colours. one phone is too warm, the other is too cold, and the third is in between. it will be interesting to find out which is which! The P30 colors are dull but sharp/crisp, the S10 photos have better color accuracy most of the time but mess up on detail a bit and the iPhone just has the colors out of whack in every single image, it either makes the sky too blue to match the weather conditions, makes objects too yellow like clearly visible with the monument or just plain colorizes everything to look off. So again pathetic 1600x1200 photos? Galaxy photos colours are too warm, Huawei too cold. iPhone is between and most close to reality. Kinda pointless since all flagships nowadays could take great picture on bright daylight. The difference between them is just in their "Color science", which none of them ever hit 100% color accuracy, but it's easily fixed in post, and slight difference in sharpness and detail, you'll need pixel-peeping to see the difference. Low-light test, Slo-mo and zoom test will be more interesting. Obviously not pointless when you see such a big gap between phones. People have a clear preference for some looks and a clear dislike for others, even in daylight. "Easily fixed in post" is something that 99% of people, myself included, would never do for their smartphone pics. Scene 4: Palm Trees...Picture K is the only decent one, but have least votes ? Because your taste does not match other people's taste, which is perfectly fine. Lol i see Picture L has even more votes. I first chose that one alsombut the tree on the right looked unnatural so went with J for its warmth. Is this blind test is all about the sky and clouds?.. We know iphone xs takes better pics of those..
One phone is taking saturating, kitschy photos. Can we please add back the slider effect to make the comparison better? Also, we need to ensure HDR is added to the mix.